What’s the only thing worse than termites? Mold. Mold spores spread very easily, and what’s scary, is that it can grow without you even knowing. It can grow absolutely anywhere. On paper, food, clothes, carpeting, drywall, and inside walls around leaking pipes; as well as above ceilings. Mold is extremely expensive to fix, but it also can produce toxic chemicals that can cause major health problems if not addressed. So, how can you prevent mold from growing in your house? Well, the important thing is moisture control. 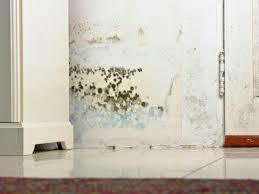 The following are some ways that you can get rid of moisture inside the house, and the mold that grows on it. You cannot “mold-proof” a house. What you can do is make a list. Where are the problem areas in your home? Does your basement often flood? Is there usually condensation around a window unit, or any windows? Is anything draining from your ceiling that is causing leaks? Is there any water from the AC leaking underneath carpets? The problem must be attacked now. 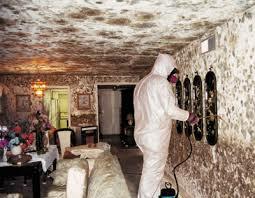 Yes, it will cost you some money, but it will certainly save you thousands should the mold grow or continue growing. The most basic thing you should know about mold is that it is impossible for it to grow without moisture. This is why it is so important to address any wet areas immediately. For example, if there is heavy rain, go down tot he basement and be sure that no water is lying around that leaked into the house. Even a spill on the carpet must be immediately dried. If an area in the house floods, make sure that you remove the carpets (if they were damaged by the water), bed linens, and furniture if it hasn’t completely dried. Be sure that you never leave wet things laying around the house, and dry the flow after a bath or shower. Never leave wet clothes in the washing machine for too long, as bacteria and mold can form. Even normal, daily activities can help mold grow. 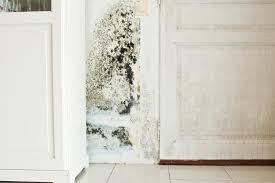 For example, taking a shower, doing laundry, or cooking can even invite mold if there isn’t ventilation in the rooms. Vent appliances that produce moisture include dryers and stoves. Be sure that your AC unit or dehumidifier isn’t leaking. You can do this by frequently inspecting it to be sure no moisture is growing, and cleaning them often. When showering, open a window or run an exhaust fan. If you are building a house, or renovating, use mold resistant products. 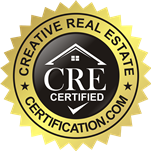 These can include mold resistant Sheetrock, and mold inhibitors when it comes to paint. Traditional drywall is made of plaster pressed between paper plies. Mold resistant drywall is actually not made of any paper. Therefore, the surface is highly water resistant. If possible, it should be used in the laundry room, basement, and bathroom. Be sure to measure the humidity in your home using a moisture meter. You can buy these at any hardware store. It will allow you to tell if there is any high humidity going on. Possible signs of excess humidity are condensation on windows, walls, or pipes. If you see any condensation, be sure to dry it immediately and address where the moisture is coming from. Mold problems can come from a leaking roof or faulty gutters. Have the gutters regularly inspected and cleaned. If they need to be replaced or repaired, do so. Also be sure to inspect directly after any heavy storms, as this is when they generally start to leak. Air is able to hold less moisture in the cold. If you don’t have great air flow in your house, the excess moisture can pop up on your floor, windows, or walls. Always try to increase circulation as much as possible. Keep doors in between rooms open, and keep furniture away from walls. Wet soil inside of indoor plants is a wonderful place for mold to grow, which can then spread to other parts of your house. You don’t need to get rid of your plants, but you can add chemicals into the plants (that won’t harm them), that will prevent mold from growing. You can find them at plant stores or nurseries. Mold really can grow on furniture, which I didn’t realize. The slipcovers on my sofa are much easier to put back on when they are damp after I wash them. One time, they were a tiny bit more than damp but I wanted to get it over with. About a week later I noticed mold on the slipcovers on two of the seat cushions which seeped into the cushion itself and had to throw it away…gross. Ahhh I know! My daughter one time accidentally left the clothes in the washing machine for a week when I was out of town. I came back and all of the clothes were COVERED in mold. It took a long time to get out.